Without proper orientation, one does not get involved. Merry and playful wall clocks will cheer up each boys 'and girls' room. Wall clock for children There are 44 products. Time to change! Decorating watches will revive every interior, highlight the charm and style of your space. Discover your living with new clocks. 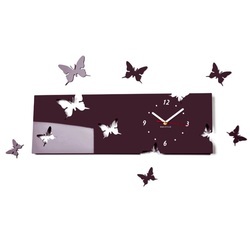 Plexiglass wall clocks are a wonderful decoration of your interior. Adhesive wall clock. Fantastik fit into any decor relaxation zone Beautify your unique space. Your clock will delight everyone. With us you will never miss! Large wall clock - modern 3D stick-clock on the wall. Wall clock for the kitchen and the living room wall clock!